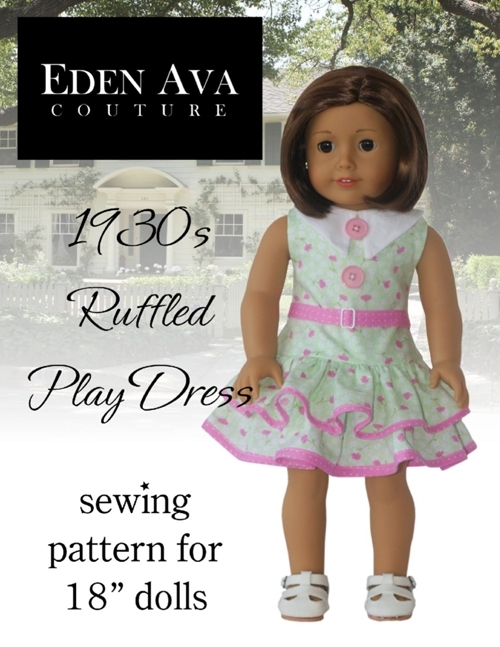 Available for purchase at Liberty Jane Patterns is this fun & flouncy ruffled dress pattern! Reminiscent of the 1930s, this sleeveless dress has a dropped waist, double layered ruffled skirt, and pointed collar. Easy to construct….just download, print and start sewing! ← A Snuggly Pet Bed For Your Doll’s Best Friend! Wow! This is super cute. Thanks!